Being an avid climber, I always had a hard time reconciling my love for sports and my love for interior design. Can they coexist peacefully in the home? Take one look at Houzz users’ photos, and you’ll find out that it can be done gracefully and with a sense of humor. If you are a fan of biking, climbing, surfing, bowling, tennis, snowshoeing, baseball, skateboarding, football or golf, get inspired by the photos in the gallery below and display your sport with pride. 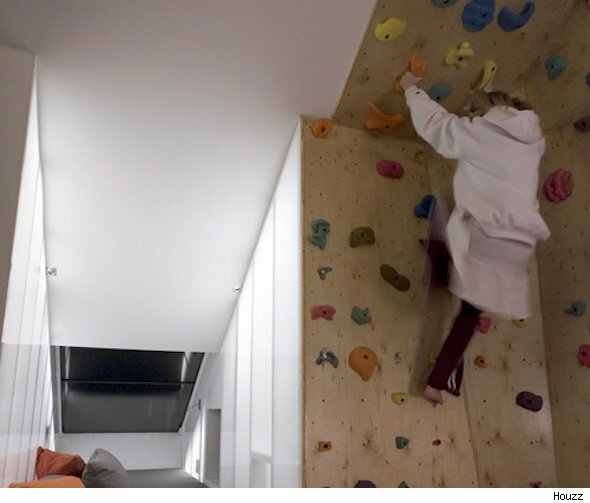 See more sporty decoration ideas on Houzz.